The beer of choice in Essen. Made at the Privatbrauerei Jacob Stauder since 1867, this popular Pilsener can be found at nearly every bar and restaurant. In a city once famous for its industry, it was also known for its many breweries. 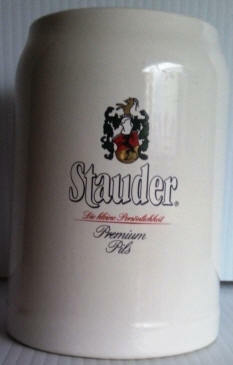 Today, Stauder is all that remains and the locals are very loyal.